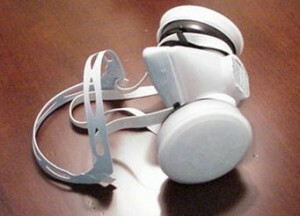 This respirator does a great job and is disposable once the filters expire. You can get replacement “pre filters” which may need changing before the cartridge goes bad. The pre filters remove dust and other contaminates commonly found in crawl spaces and attics.